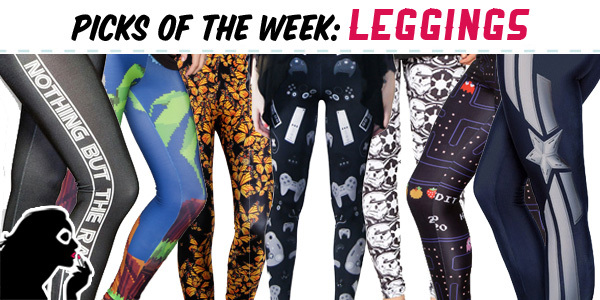 It feels like every other day we discover awesome new companies branching out into offering geeky leggings, so today we decided to round up some of our favorites to share, and hopefully introduce you to some new sources for geek chic wear! Black Milk Clothing led the charge into the world of geek themed spandex that many companies have enthusiastically taken up the call to arms to follow. 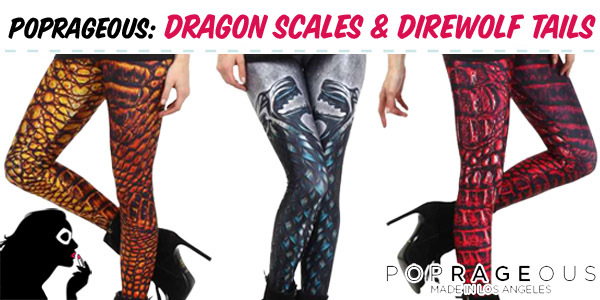 One such company is Los Angeles based clothing company, Poprageous! Ranging from prints featuring fandoms like Doctor Who and Game of Thrones, to collaborating with artists like JSalvador of Super Emo Friends genius, Poprageous is definitely one of those companies whose garments should be a part of any geek chic girl’s wardrobe! Check out our favorites after the cut, and be sure to keep up with them on Facebook and Twitter.